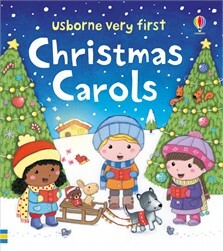 This charming illustrated collection of traditional Christmas carols is sure to delight little children. Includes the well-loved carols ‘Away in a Manger’, ‘Silent Night’, ‘We Three Kings’, ‘We Wish you a Merry Christmas’ and more. Delightfully illustrated, the sturdy board book is the perfect size for little hands to hold and explore.